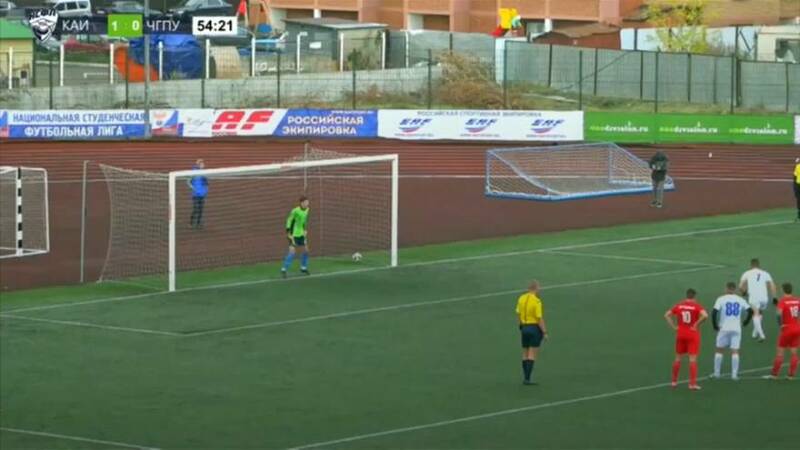 A Russian student footballer is no doubt feeling satisfied with himself this week after he scored an acrobatic 'backflip penalty' and then a video of it went viral. 22-year-old Norik Avdalyan has pulled off the trick shot before but not for the camera. Avdalyan plays for Kazan National Technical University and netted his penalty in the 55th minute in a match against Chuvash State Pedagogical University. The National Student Soccer League was created in 2011 and currently includes 29 teams from 22 Russian cities, each team representing a university.